The single button folding walker releases by depressing a single button for easy folding with the palm or the side of a hand. Lightweight, sturdy frame provides extra stability. 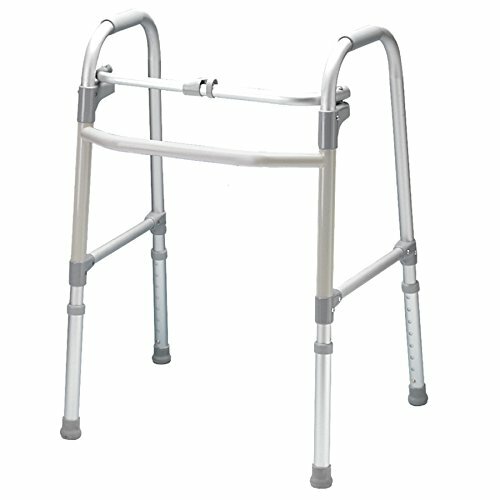 Additional walker accessories such as wheels and glides are available. No assembly is required.